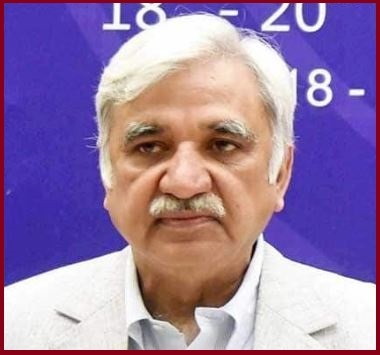 Sunil Arora is the new Chief Election Commissioner of India appointed by President of India, Ram Nath Kovind on 26th November 2018. He succeeded OP Rawat who got retired on 24th Nov 2018. Sunil Arora (62-years-old) is a 1980 batch retired IAS officer of the Rajasthan Cadre, who has held several top positions in various government departments and ministries. As an IAS officer, he has worked on several important positions for both the Government of India and the Rajasthan Government. In addition to deployment in various districts during the administrative service in Rajasthan, Sunil Arora served as Secretary, Information and Broadcasting Secretary and Ministry of Skill Development and Entrepreneurship in the Central Government. Besides, Sunil Arora has served in different positions in Finance and Textiles Ministry and Planning Commission. He is also the Secretary of the Chief Minister of Rajasthan from 1993 to 1998 and from 2005 to 2008, he is also the Chief Secretary of the Chief Minister. Along with the Additional Chief Secretary, Chief Secretary of the Ministry of Small Industries, Chief Secretary of Investment and Protocol in the Ministry of Home Affairs, Arora has also been Chairman and Managing Director of Rajasthan State Industrial Development and Investment Corporation. Apart from this, Arora has also been in the role of Secretary, Ministry of Information and Broadcasting, Skills Development and Entrepreneurship Secretary. Sunil Arora played the role of District Magistrate in Jodhpur, Alwar and Dholpur districts of Rajasthan. Along with that, he was the joint secretary in the Ministry of Civil Aviation in the Government of India. He has also served as Chairperson and Managing Director of Indian Airlines.